Classic White Bolection Surround. 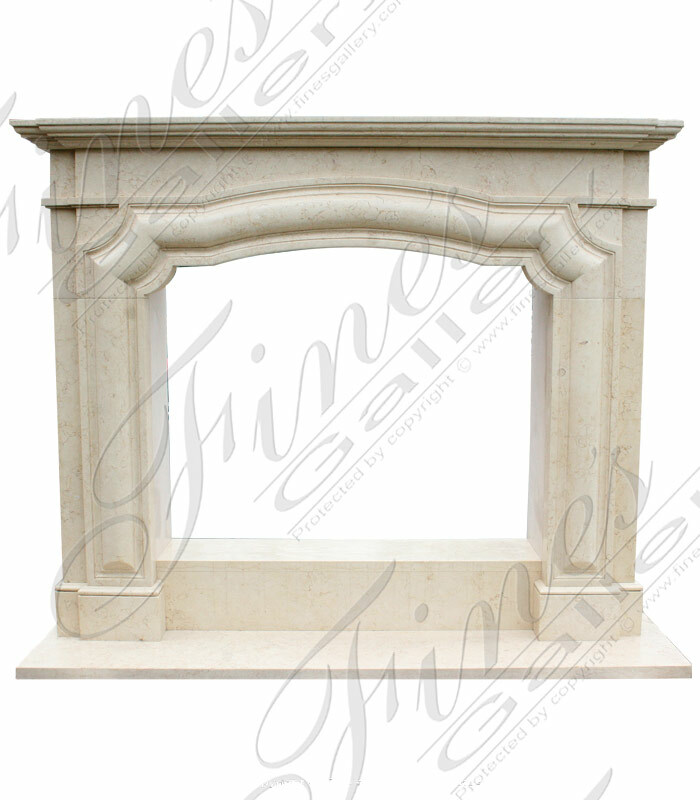 A classic white traditional style bolection style surround carved from natural 'classic white' marble. Rosso Verona Bolection Surround. 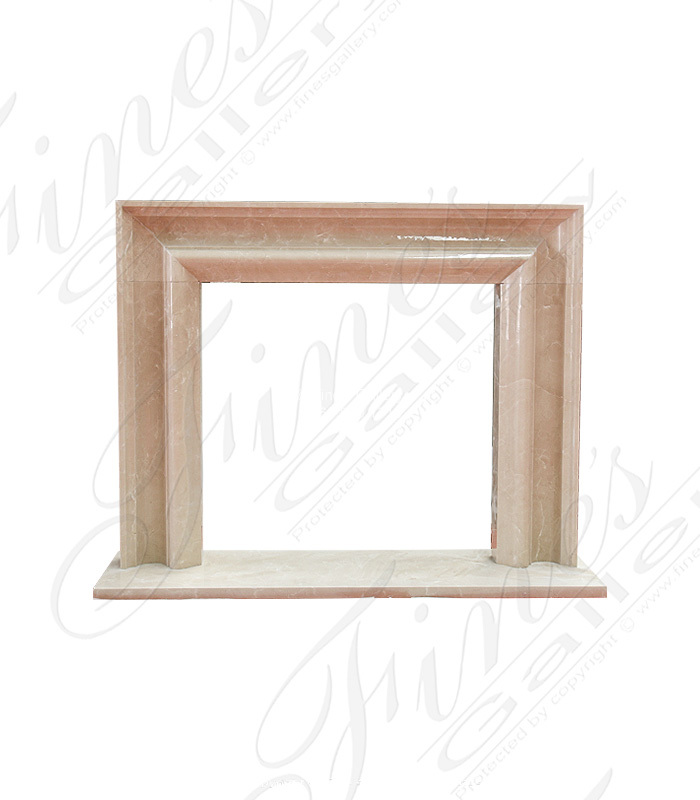 Simple and sophisticated, this gorgeous surround is sculpted from luxurious natural tones of fine marble. 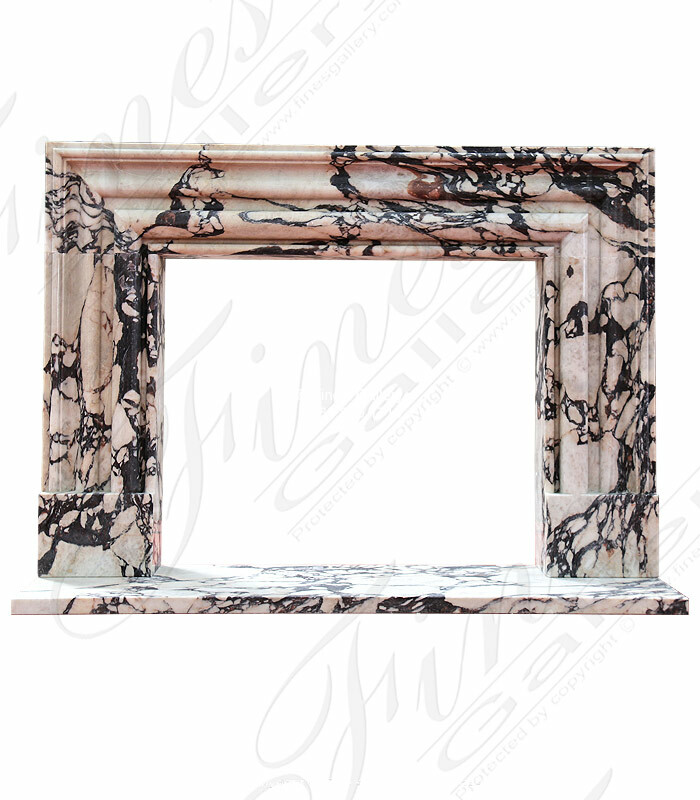 Choose from any of our elegant styles of marble and we will create your dream fireplace. 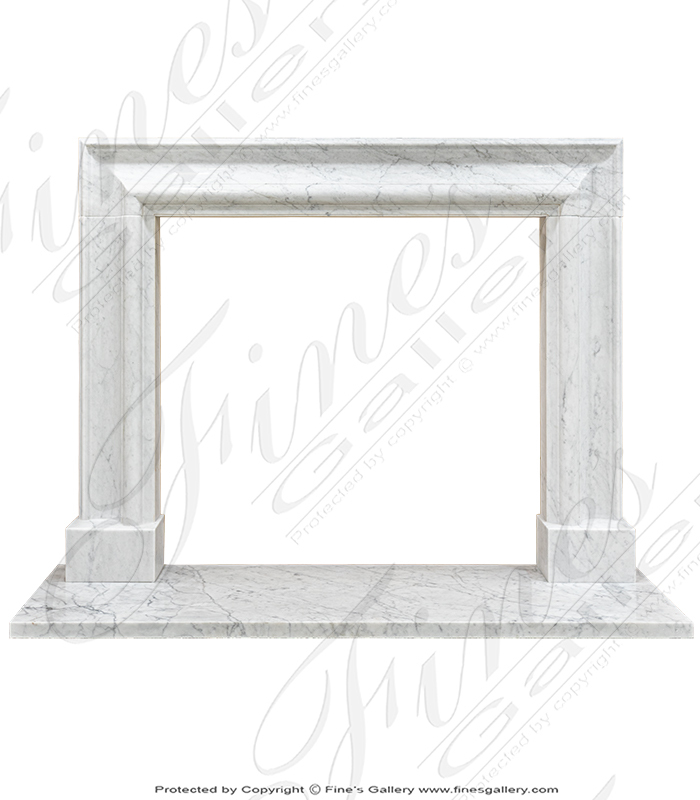 Bolection Mantel carved from pure white marble with light gray veining. 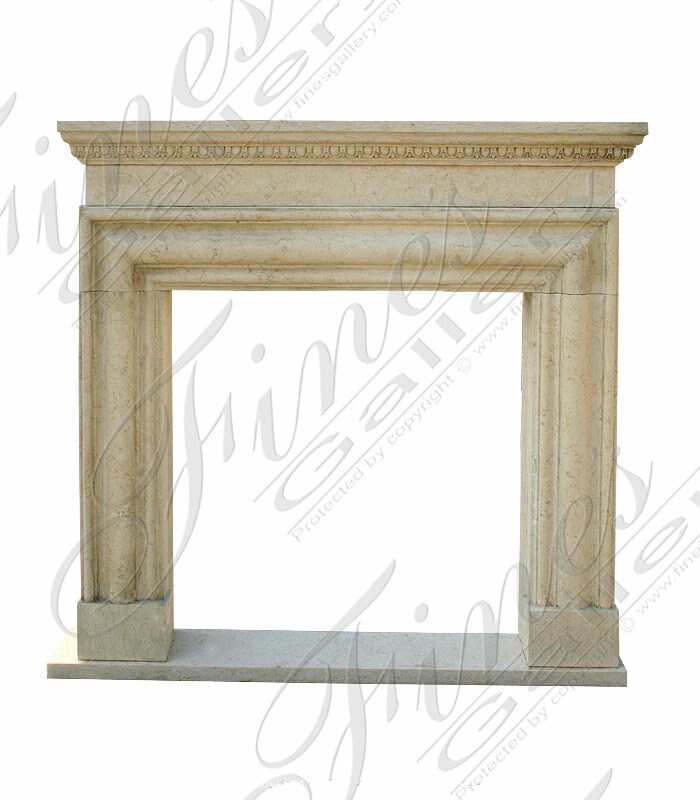 This luxurious mantel features several levels of beveling in the bolection detail. Cream Bolection Mantel. Opening Expandable to 41.5 inches wide x 35.75 tall. Polished finish. 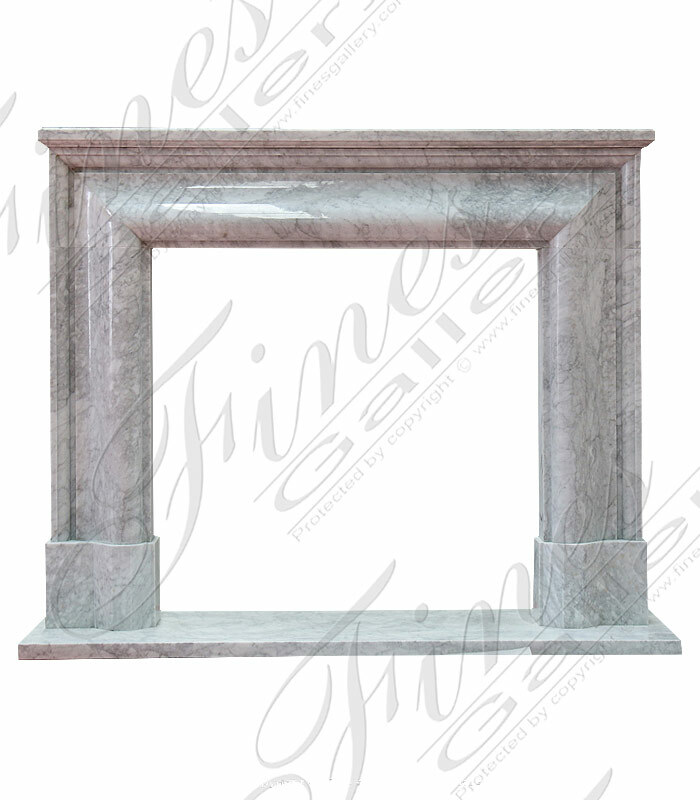 Contemporary Bolection Mantel in solid white marble. 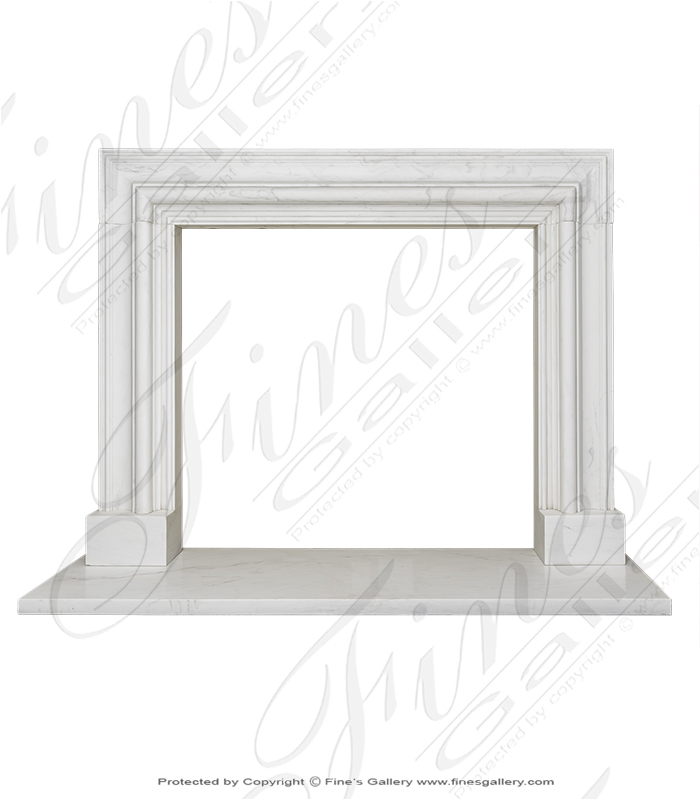 Classic Bolection Surround carved from classic white marble. in production. 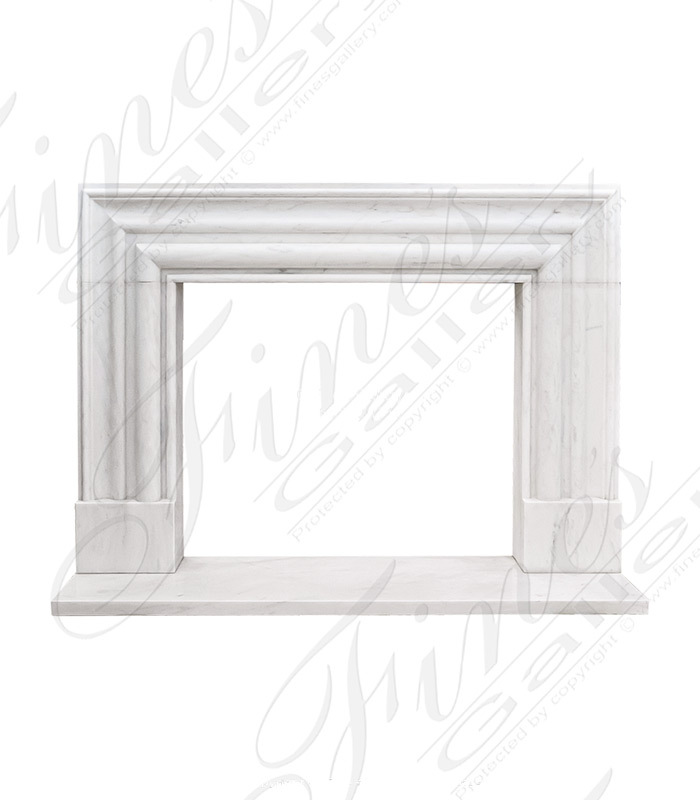 This mantel is carved from a rare imported white marble named classic white marble. Featuring a very high polished finish. 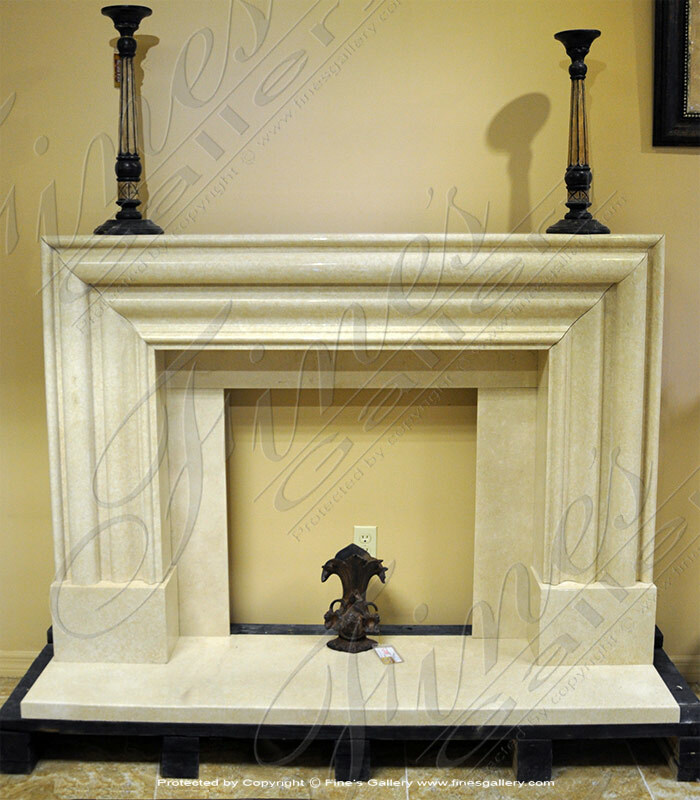 Royal Cream Bolection fireplace mantel. Includes 20 inch deep hearth. Polished finish and deep molding make for an impressive surround. Featuring a rare imported cream marble! 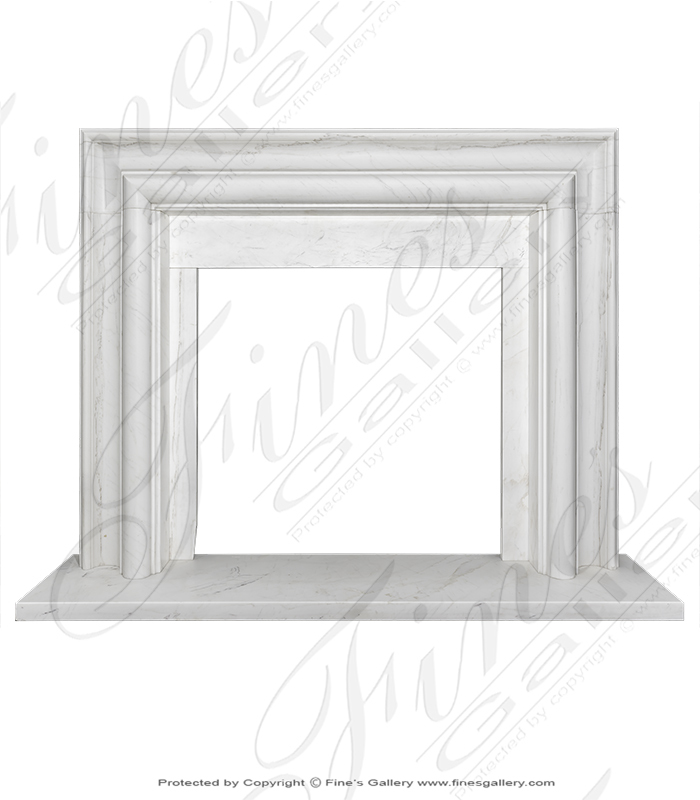 Italian Carrara Bolection Mantel. Beautiful natural stone with a polished finish. White base color and medium gray veining. Carrara marble imported directly from Italy. 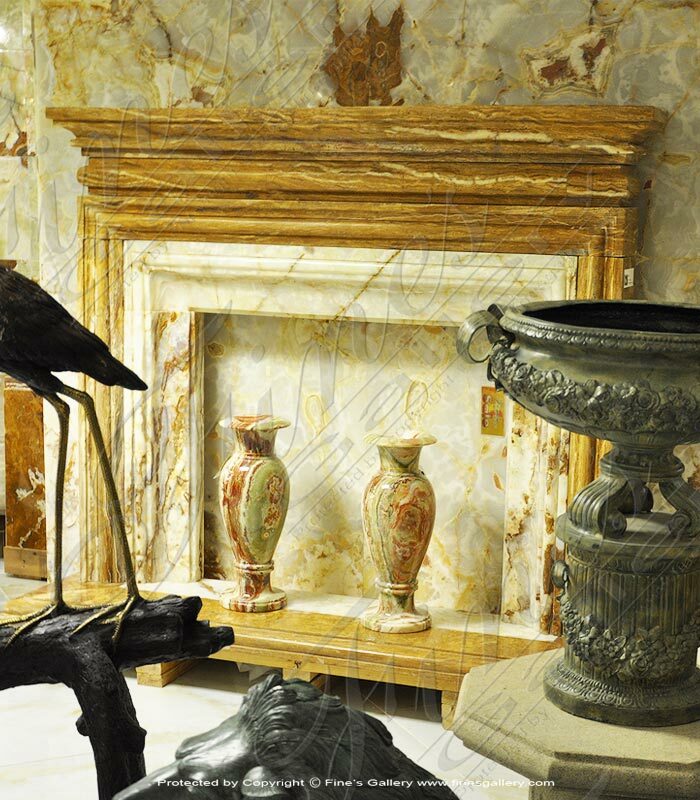 This Breccia Viola Marble Bolection fireplace IV has been hand picked, quarried in Italy. Matching marble facing kits available. 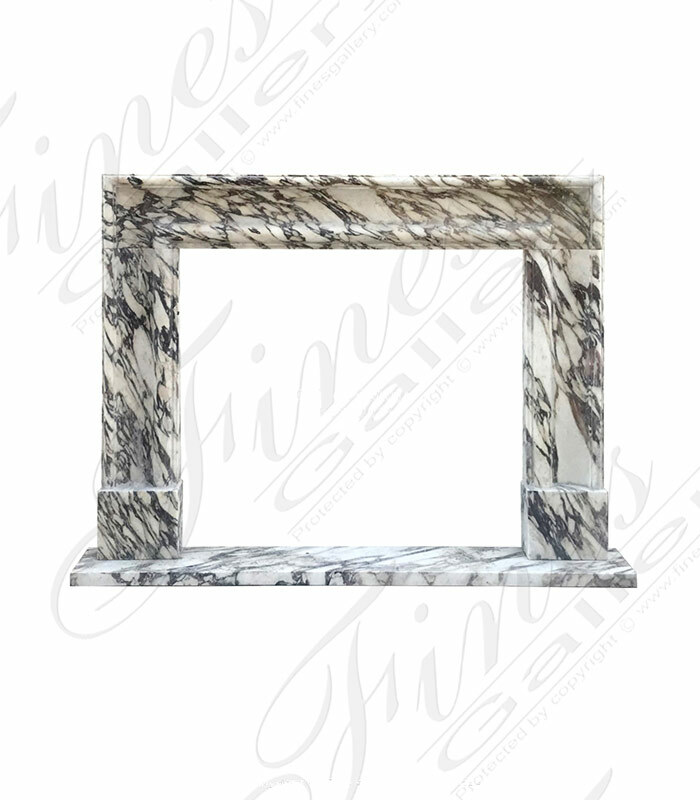 Breccia Viola Marble Bolection Surround X carved from natural solid italian quarried marble. This rare exotic italian marble is available for international delivery. Select from our vast in stock inventory or customize. 1.866.860.1710. A simple luxury, hand carved from delicate white and gold tones of marble fora serene focal pointina den or living room.You will love having thissophisticatedexpression ofmarble beauty in yourhome. Contact us today for complete details. 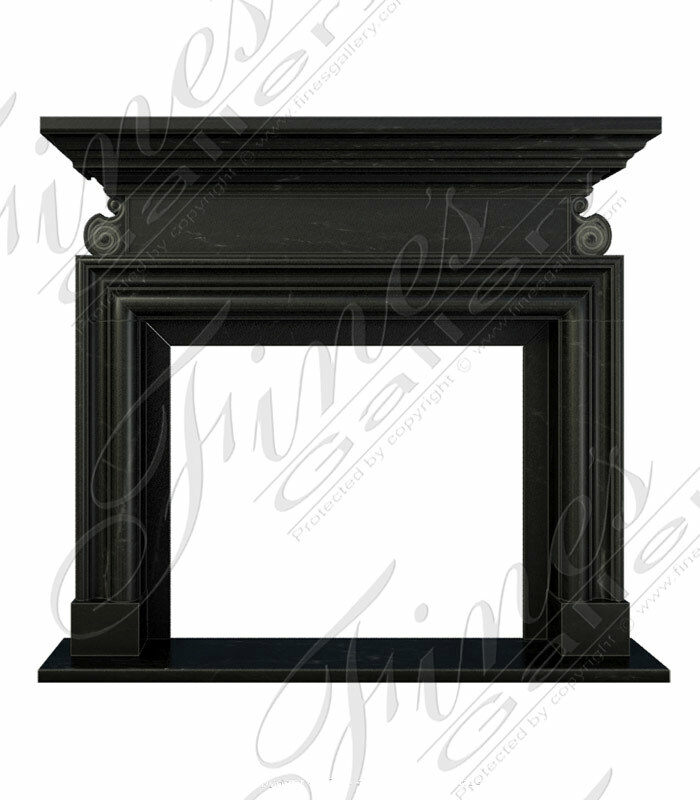 The luxurious beauty of this rich black marble leaves a lasting impression in this simplistic square fireplace.Perfect for instantly enhancing the ambiance and beauty in your home, and available in any of our marble colors and styles. Call us today. With simple elegance, this fine marble fireplace brings a serene mood into the room. 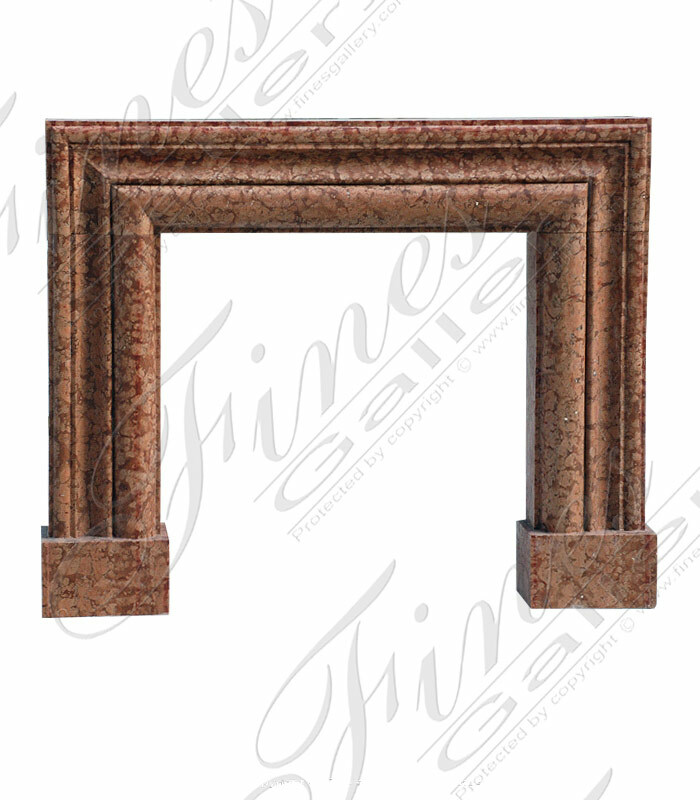 Made from a light neutral toned marble, its shaped into a perfect square frame around the fire, with a sophisticated mantel. Contact the gallery today. 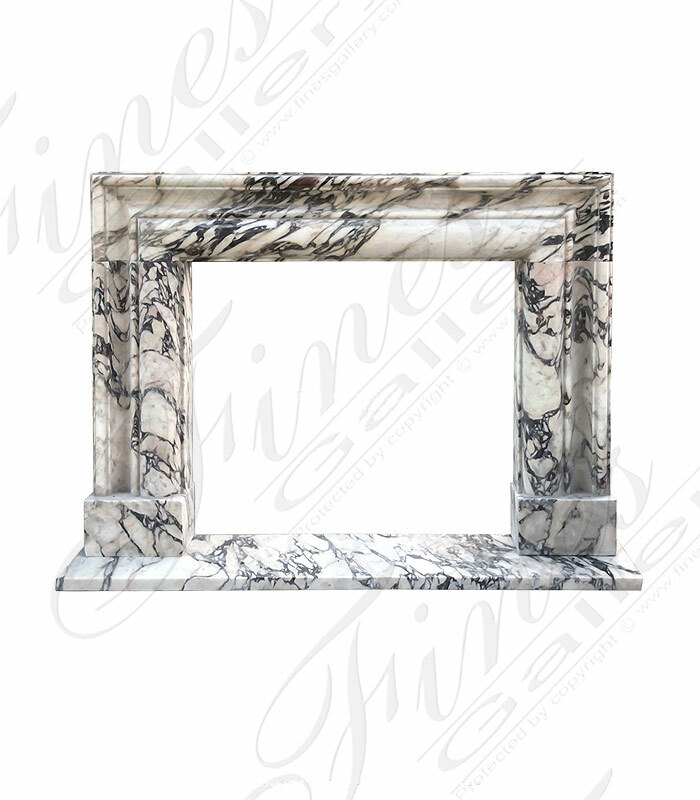 This fine marble fireplace is shown in bollection style and available in any of our marble colors to be made at any size. 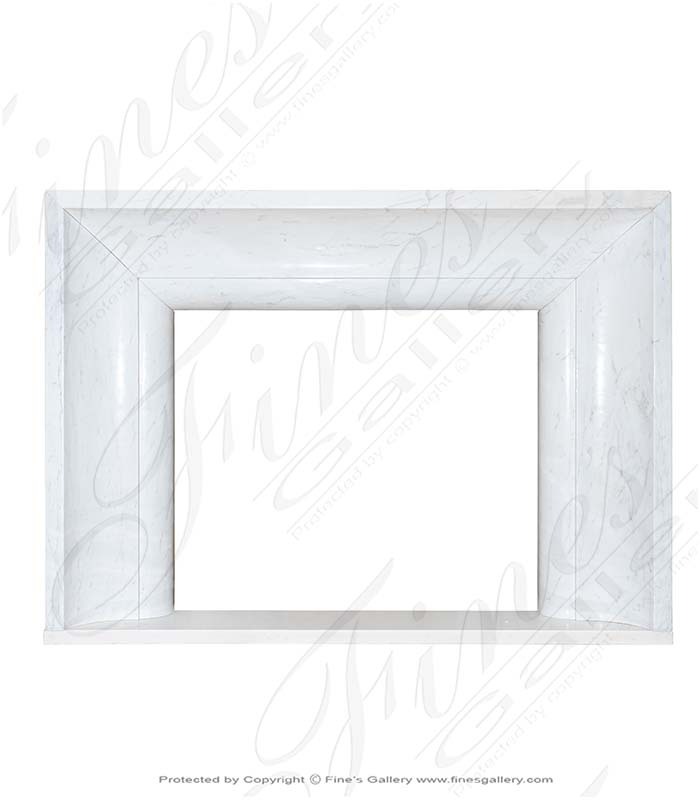 Currently in stock in a beautiful high quality statuary white marble!